Welcome to www.pearllashextensions.com. The www.pearllashextensions.com website (the “Site”) is comprised of various web pages operated by Pearl Lash Corporation (“Pearl Lash”). www.pearllashextensions.com is offered to you conditioned on your acceptance without modification of the terms, conditions, and notices contained herein (the “Terms”). Your use of www.pearllashextensions.com constitutes your agreement to all such Terms. Please read these terms carefully, and keep a copy of them for your reference. Visiting www.pearllashextensions.com or sending emails to Pearl Lash constitutes electronic communications. You consent to receive electronic communications and you agree that all agreements, notices, disclosures and other communications that we provide to you electronically, via email, via text message and on the Site, satisfy any legal requirement that such communications be in writing. If you use this site, you are responsible for maintaining the confidentiality of your account and password and for restricting access to your computer, and you agree to accept responsibility for all activities that occur under your account or password. You may not assign or otherwise transfer your account to any other person or entity. You acknowledge that Pearl Lash is not responsible for third party access to your account that results from theft or misappropriation of your account. Pearl Lash and its associates reserve the right to refuse or cancel service, terminate accounts, or remove or edit content in our sole discretion. Pearl Lash does not knowingly collect, either online or offline, personal information from persons under the age of thirteen. If you are under 18, you may use www.pearllashextensions.com only with permission of a parent or guardian. The initial booking fee (also referred to as a $200.00 deposit) is the minimum payment due at event registration. The balance of the payment (price varies for different events) provides funding for all materials including detailed manual, classroom supplies, certificate of completion. The registrant has an option of providing the full payment at registration or provide only the booking fee, either option is sufficient in order to reserve a seat at any of the events. A registrant may cancel their event registration or request to be transferred into a different event no later than 14 days prior to the scheduled event date. Cancellation or transfer request must be issued via email sent to: info@pearllashextensions.com. Refund will be issued to the original form of payment and depending on the financial institution guidelines may take anywhere between 3 – 7 business days to process. Only one event transfer is allowed per paid registration. No refunds will be issued for cancellation requests within the 14 day window before the class start time. Transfer fee of $200.00 will apply to any transfer request within a 14 day window before a registrants scheduled event date. Transfer fee must be paid on or before the date of the originally scheduled event. The event must be paid in full prior to the transfer request in order to be processed. Manual and/or any printed material including classroom supplies, Certificate of Completion, etc. that are provided to the registrant during the training event is not eligible for return or refund. Products – You may return the product within 30 days of purchase, sealed and in original packaging. * Please contact Customer Service at info@pearllashextensions.com if you have any questions. *The following items are not eligible for return/refund – Classic Eyelash Extension Starter Kit, Volume Eyelash Extension Starter Kit, Pro Adhesive 5ml. A registrant hereby agrees that all local and state professional licensing laws and regulations will be followed. Such regulations could vary based on student’s city or state of future practice. A student must comply with their local department of professional regulations requirements as well as regulations on licensing requirements before proceeding to work for hire. Pearl Lash provides a Certificate of Event Completion at the conclusion of the event. Pearl Lash does not provide any licensing or permitting. All registrants who registered and attended any of Pearl Lash Events are eligible to to attend future events at no additional cost. A student is only eligible to attend the exact level event (i.e. Classic, Volume, etc.) they have originally attended and paid for. If a registrant would like to register for a different level event, they would be responsible for full payment for such event. Only registrants who have attended their scheduled event and received their certification are eligible for the refresher option. To register for a complimentary refresher, a registrant must contact Pearl Lash Customer Support team at: Info@PearlLashExtensions.com in writing with their request of date and location of the event they are looking to attend. Registrant will not be guaranteed placement in a refresher class of their first choice. If registrant’s first choice event is sold out or otherwise restricted at Pearl Lash consent, a registrant will be offered a different date/location of the next available refresher spot. It is highly recommended to request refresher seats at least 6 – 8 weeks in advance to increase the chances of that event having available seats. Upon refresher registration, a registrant will be required to pay a $100 (One Hundred Dollar) deposit which will secure their refresher seat. This deposit will be refunded back to the student at the end of the day of their refresher event. Refund will be made in the same payment form as the deposit was originally applied. If the registrant fails to attend the scheduled refresher training, he/she is subject to lose the deposit. www.pearllashextensions.com may contain links to other websites (“Linked Sites”). The Linked Sites are not under the control of Pearl Lash and Pearl Lash is not responsible for the contents of any Linked Site, including without limitation any link contained in a Linked Site, or any changes or updates to a Linked Site. Pearl Lash is providing these links to you only as a convenience, and the inclusion of any link does not imply endorsement by Pearl Lash of the site or any association with its operators. Certain services made available via www.pearllashextensions.com are delivered by third party sites and organizations. By using any product, service or functionality originating from the www.pearllashextensions.com domain, you hereby acknowledge and consent that Pearl Lash may share such information and data with any third party with whom Pearl Lash has a contractual relationship to provide the requested product, service or functionality on behalf of https://www.pearllashextensions.com users and customers. All content included as part of the Service, such as text, graphics, logos, images, as well as the compilation thereof, and any software used on the Site, is the property of Pearl Lash or its suppliers and protected by copyright and other laws that protect intellectual property and proprietary rights. You agree to observe and abide by all copyright and other proprietary notices, legends or other restrictions contained in any such content and will not make any changes thereto. You will not modify, publish, transmit, reverse engineer, participate in the transfer or sale, create derivative works, or in any way exploit any of the content, in whole or in part, found on the Site. Pearl Lash content is not for resale. Your use of the Site does not entitle you to make any unauthorized use of any protected content, and in particular you will not delete or alter any proprietary rights or attribution notices in any content. You will use protected content solely for your personal use, and will make no other use of the content without the express written permission of Pearl Lash and the copyright owner. You agree that you do not acquire any ownership rights in any protected content. We do not grant you any licenses, express or implied, to the intellectual property of Pearl Lash or our licensors except as expressly authorized by these Terms. Pearl Lash has no obligation to monitor the Communication Services. However, Pearl Lash reserves the right to review materials posted to a Communication Service and to remove any materials in its sole discretion. Pearl Lash reserves the right to terminate your access to any or all of the Communication Services at any time without notice for any reason whatsoever. Pearl Lash reserves the right at all times to disclose any information as necessary to satisfy any applicable law, regulation, legal process or governmental request, or to edit, refuse to post or to remove any information or materials, in whole or in part, in Pearl Lash’s sole discretion. Always use caution when giving out any personally identifying information about yourself or your children in any Communication Service. Pearl Lash does not control or endorse the content, messages or information found in any Communication Service and, therefore, Pearl Lash specifically disclaims any liability with regard to the Communication Services and any actions resulting from your participation in any Communication Service. Managers and hosts are not authorized Pearl Lash spokespersons, and their views do not necessarily reflect those of Pearl Lash. Pearl Lash does not claim ownership of the materials you provide to www.pearllashextensions.com (including feedback and suggestions) or post, upload, input or submit to any Pearl Lash Site or our associated services (collectively “Submissions”). However, by posting, uploading, inputting, providing or submitting your Submission you are granting Pearl Lash, our affiliated companies and necessary sublicensees permission to use your Submission in connection with the operation of their Internet businesses including, without limitation, the rights to: copy, distribute, transmit, publicly display, publicly perform, reproduce, edit, translate and reformat your Submission; and to publish your name in connection with your Submission. No compensation will be paid with respect to the use of your Submission, as provided herein. Pearl Lash is under no obligation to post or use any Submission you may provide and may remove any Submission at any time in Pearl Lash’s sole discretion. You will be able to connect your Pearl Lash account to third party accounts. By connecting your Pearl Lash account to your third party account, you acknowledge and agree that you are consenting to the continuous release of information about you to others (in accordance with your privacy settings on those third party sites). If you do not want information about you to be shared in this manner, do not use this feature. The Service is controlled, operated and administered by Pearl Lash from our offices within the USA. If you access the Service from a location outside the USA, you are responsible for compliance with all local laws. 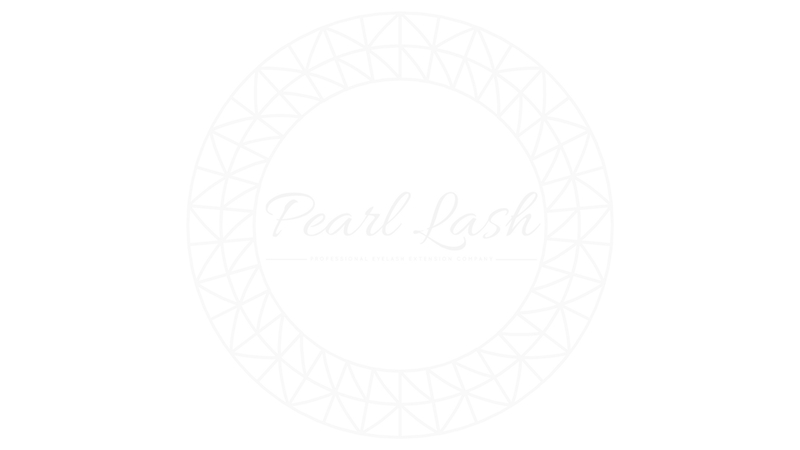 You agree that you will not use the Pearl Lash Content accessed through www.pearllashextensions.com in any country or in any manner prohibited by any applicable laws, restrictions or regulations. You agree to indemnify, defend and hold harmless Pearl Lash, its officers, directors, employees, agents and third parties, for any losses, costs, liabilities and expenses (including reasonable attorneys’ fees) relating to or arising out of your use of or inability to use the Site or services, any user postings made by you, your violation of any terms of this Agreement or your violation of any rights of a third party, or your violation of any applicable laws, rules or regulations. Pearl Lash reserves the right, at its own cost, to assume the exclusive defense and control of any matter otherwise subject to indemnification by you, in which event you will fully cooperate with Pearl Lash in asserting any available defenses. Participants may redeem their Pearl Points during checkout by applying them towards their final total. 1. The Program is open to all registered PearlLashExtensions.com customers at least eighteen (18) years of age or older. It is void where prohibited by law. Participants must have a valid Pearl Lash Online Account. Accounts are free. If you do not have a Pearl Lash Account, visit www.PearlLashExtensions.com and follow the links and instructions to create an account. 2. Registration. 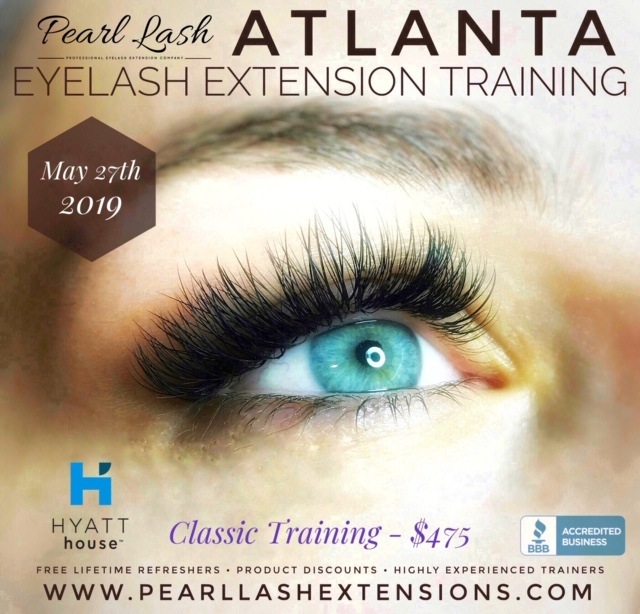 To enroll in this Program and thereby create a Rewards Account, Participant is required to register online (www.PearlLashExtensions.com) with the email address. There is a limit of one (1) Rewards Account per person/e-mail address, regardless of whether more than one person uses the same e-mail address. The person who is the authorized e-mail account holder of the e-mail address indicated when registering (and who otherwise meets the eligibility criteria) will be deemed the Participant. 1. The Program began on July 15, 2018 and will continue until Sponsor announces its termination, which it may do at any time, with or without notice to Participants. Sponsor also reserves the right to suspend or modify the Program, at its discretion, at any time with or without notice. Termination, modification or suspension may affect a Participant’s ability to redeem accumulated Points. Participants will be able to redeem Points at any time as set forth in Section E below. 2. A Participant’s continued participation in the Program constitutes his or her acceptance of any changes to these Rules. For example: If you make a purchase totaling $100, you will earn 100 Pearl Points which would equal to $4 of dollar credit that could be applied towards your next purchase. (a)Sponsor will credit Points and bonus Points earned to Participant’s Rewards Account within 30 minutes of the Qualifying Transaction(s). (b) If a Qualified Product Purchase or Qualified Merchant Purchase is returned for any reason after Points have been credited, Sponsor reserves the right to deduct the corresponding Points from Participant’s Rewards Account. (c) Pearl Point will not be credited for any shipping or handling charges as well as local, state or federal taxes applied to Participant’s order. (d) Participants may not sell, barter or otherwise conduct any unauthorized distribution of any Points purchased. If any Points purchased by Participant are resold, distributed or used for improper purposes as determined by Sponsor in its sole discretion, or obtained through credit card abuse or fraud or other illegal means, Sponsor may cancel, void, or refuse to honor transaction to buy Points. Sponsor reserves the right, in its discretion, to prohibit Point purchase transactions by a Participant who Sponsor determines has acted in has violation of these requirements. 1. No Cash Value or Transferability. Points do not constitute property, do not entitle a member to a vested right or interest and have no cash value. As such, Points are not redeemable for cash, transferable or assignable for any reason, and are not transferable as part of a domestic relations matter or otherwise by operation of law. The sale or transfer of Points is strictly prohibited. Points may not be sold on any secondary market, and any transfer of Points to a secondary market shall be deemed void. Any Points remaining in a Participant’s Rewards Account if the Program is canceled will be forfeited without compensation. There shall be no carry over or transfer of Points to other Sponsor programs, unless otherwise determined by Sponsor in its sole and absolute discretion. 2. Point Expiration. Points earned will never expire. 3. Accrued Points Viewable in Participant’s Rewards Account. The number of Points collected by each Participant will be tracked in the Participant’s Pearl Lash Pearl Points Account. However, each Participant will have the responsibility of ensuring that his/her Points are properly credited. Any claim for Points not credited accurately must be received by Sponsor within seven (7) days of the date of claimed accrual of such Points. Sponsor reserves the right to invalidate Points from a Participant Rewards Account if it determines that such Points were improperly credited or obtained fraudulently. Sponsor reserves the right to require proof of accrual of Points and Sponsor reserves the right to delay the processing or redemption of any Points without notice to Participants in order to assure compliance with these Rules. Participants are responsible for maintaining the confidentiality of their Participant Rewards Accounts and passwords and for restricting access to their Devices and activity on their Participant Rewards Account, and Participants agree to accept responsibility for all activities that occur under their Rewards Account. Without limiting any other remedies, Sponsor may suspend or terminate a Participant’s Reward Account if Sponsor suspects that a Participant has engaged in fraudulent activity in connection with the Program. Participation in the Program is subject to these Rules, as well as policies and procedures that Sponsor may adopt or modify from time to time. Any failure to abide by these Rules or any policies or procedures implemented by Sponsor, any conduct detrimental to Sponsor, or any misrepresentation or fraudulent activities in connection with the Program may result, in addition to any rights or remedies available to Sponsor in law or equity, in the termination of participation in the Program, as well as forfeiture of Points accrued to date, all as determined by Sponsor in its sole discretion. 1. At checkout on www.PearlLashExtensions.com a participant will have the value of their up to date Pearl Points total listed on the screen. 2. A Participant may begin using Pearl Points to purchase items from Pearl Lash online store at any time when they have accrued Points. 3. To apply Pearl Points towards items from the Pearl Lash, he or she can use the points by clicking on the “Redeem” button. Participant will receive confirmation that the item has been purchased and the associated Points will be deducted from his/her Rewards Account. 4. Sponsor reserves the right to modify the list of items available for purchase, as well as their corresponding Point values, at any time for any reason. 5. The total number of Points a Participant can use to purchase an item is the number of Pearl Points he or she has available in his/her Rewards Account. 1. Sponsor reserves the right to suspend or discontinue the eligibility of any person who uses, or, in the case of suspension, is suspected of using, the Program in a manner inconsistent with these Rules or any federal or state laws, statutes or ordinances. In addition to suspension or discontinuance of the Program eligibility, Sponsor shall have the right to take appropriate administrative and/or legal action, including criminal prosecution, as it deems necessary in its sole discretion. 2. Any attempt by any person to undermine the legitimate operation of the Program may be a violation of criminal and civil law, and, should such an attempt be made, Sponsor reserves the right to seek damages from any such person to the fullest extent permitted by law. Sponsor’s failure to enforce any of these Rules shall not constitute a waiver of that, or any other, provision. 3. The Program is provided to individuals only. Corporations, associations, including school organizations, or other groups may not participate in the Program. 4. All questions or disputes regarding eligibility for the Program, the availability of items, or a Participant’s compliance with these Rules will be resolved by Sponsor in its sole discretion. 5. Sponsor is not responsible for any incorrect or inaccurate information supplied by Participants while participating in the Program. 6. Participants are responsible for the payment of all taxes which may result from participation in the Program. 7. Participants are responsible for maintaining updated contact information associated with their Samsung ID. 8. The Program is subject to all applicable laws and regulations. 1. Sponsor, and its parent, subsidiary, affiliate, franchisees, and related companies, and each of its and their respective officers, directors, employees, shareholders, agents and promotional and advertising agencies, successors, assigns (collectively the “Released Parties”) are not responsible for any printing or computer error, omission, interruption, irregularity, deletion, defect, delay in operations or transmission, theft or destruction or unauthorized access to or alteration of Program materials or for technical, network, telephone equipment, electronic, computer, hardware or software malfunctions of any kind, or inaccurate transmission of Program information due to technical problems or traffic congestion on the internet, at any web site or any combination thereof. In the event that the Pearl Point Program is temporarily corrupted and suspended, notice of such will be provided and Participants will be advised to (1) not redeem Points until such time that the Program, as originally intended, may be resumed and (2) that Qualified Transactions during this time period completed will not generate Points for the Participant. 2. By participating in the Program, each Participant accepts all responsibility for, and hereby releases and agrees to indemnify and hold harmless Sponsor and their respective parent companies, subsidiaries, affiliates, agents, promotion and advertising agencies, including, franchisees, and each of their respective officers, directors, employees, shareholders, and successors, assigns, and service providers from and against any claims, liabilities, damages, or expenses that may arise from actions taken by such Participant and/or Participant’s participation in the Program, or for any harm or injury caused by any third party. 3. As a condition of participating in the Program, Participant agrees that, except where prohibited, any and all disputes, claims and causes of action arising out of, or connected with, the Program or any item purchased therein shall be resolved individually, without resort to any form of class action, and exclusively by the appropriate court located in Florida. All issues and questions concerning the construction, validity, interpretation and enforceability of these Rules, Participant’s rights and obligations, or the rights and obligations of Sponsor in connection with the Program, shall be governed by, and construed in accordance with, the laws of the State of Florida, without giving effect to any choice of law or conflict of law rules (whether of the State of Florida or any other jurisdiction), which would cause the application of the laws of any jurisdiction other than State of Florida. 4. If any provision of these Rules is found to be invalid or unenforceable by a court of competent jurisdiction, such provision shall be severed from the remainder of these Rules, which will otherwise remain in full force and effect. THE INFORMATION, SOFTWARE, PRODUCTS, AND SERVICES INCLUDED IN OR AVAILABLE THROUGH THE SITE MAY INCLUDE INACCURACIES OR TYPOGRAPHICAL ERRORS. CHANGES ARE PERIODICALLY ADDED TO THE INFORMATION HEREIN. PEARL LASH CORPORATION AND/OR ITS SUPPLIERS MAY MAKE IMPROVEMENTS AND/OR CHANGES IN THE SITE AT ANY TIME. 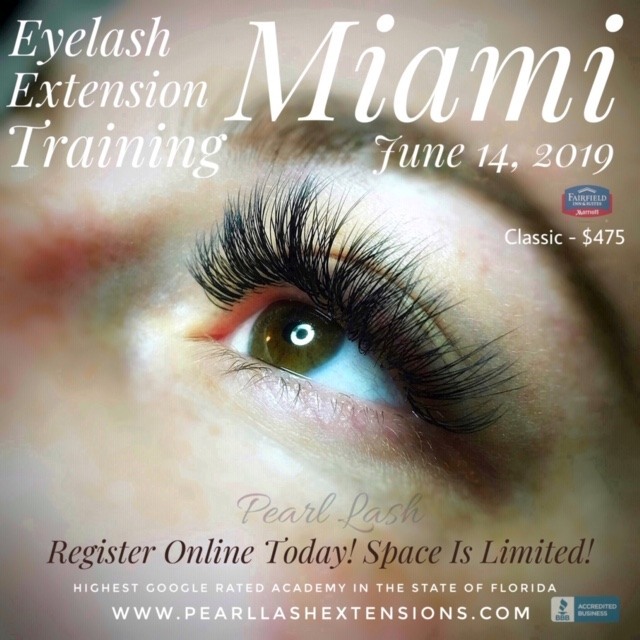 www.pearllashextensions.com is an E-commerce website that sells eyelash extension products and accessories direct to the beauty professionals as well as provides informational and sales event registration. PEARL LASH CORPORATION AND/OR ITS SUPPLIERS MAKE NO REPRESENTATIONS ABOUT THE SUITABILITY, RELIABILITY, AVAILABILITY, TIMELINESS, AND ACCURACY OF THE INFORMATION, SOFTWARE, PRODUCTS, SERVICES AND RELATED GRAPHICS CONTAINED ON THE SITE FOR ANY PURPOSE. TO THE MAXIMUM EXTENT PERMITTED BY APPLICABLE LAW, ALL SUCH INFORMATION, SOFTWARE, PRODUCTS, SERVICES AND RELATED GRAPHICS ARE PROVIDED “AS IS” WITHOUT WARRANTY OR CONDITION OF ANY KIND. PEARL LASH CORPORATION AND/OR ITS SUPPLIERS HEREBY DISCLAIM ALL WARRANTIES AND CONDITIONS WITH REGARD TO THIS INFORMATION, SOFTWARE, PRODUCTS, SERVICES AND RELATED GRAPHICS, INCLUDING ALL IMPLIED WARRANTIES OR CONDITIONS OF MERCHANTABILITY, FITNESS FOR A PARTICULAR PURPOSE, TITLE AND NON-INFRINGEMENT. Pearl Lash reserves the right, in its sole discretion, to terminate your access to the Site and the related services or any portion thereof at any time, without notice. To the maximum extent permitted by law, this agreement is governed by the laws of the State of Florida and you hereby consent to the exclusive jurisdiction and venue of courts in Florida in all disputes arising out of or relating to the use of the Site. Use of the Site is unauthorized in any jurisdiction that does not give effect to all provisions of these Terms, including, without limitation, this section. You agree that no joint venture, partnership, employment, or agency relationship exists between you and Pearl Lash as a result of this agreement or use of the Site. Pearl Lash’s performance of this agreement is subject to existing laws and legal process, and nothing contained in this agreement is in derogation of Pearl Lash’s right to comply with governmental, court and law enforcement requests or requirements relating to your use of the Site or information provided to or gathered by Pearl Lash with respect to such use. If any part of this agreement is determined to be invalid or unenforceable pursuant to applicable law including, but not limited to, the warranty disclaimers and liability limitations set forth above, then the invalid or unenforceable provision will be deemed superseded by a valid, enforceable provision that most closely matches the intent of the original provision and the remainder of the agreement shall continue in effect. Unless otherwise specified herein, this agreement constitutes the entire agreement between the user and Pearl Lash with respect to the Site and it supersedes all prior or contemporaneous communications and proposals, whether electronic, oral or written, between the user and Pearl Lash with respect to the Site. A printed version of this agreement and of any notice given in electronic form shall be admissible in judicial or administrative proceedings based upon or relating to this agreement to the same extent an d subject to the same conditions as other business documents and records originally generated and maintained in printed form. It is the express wish to the parties that this agreement and all related documents be written in English. Pearl Lash reserves the right, in its sole discretion, to change the Terms under which www.pearllashextensions.com is offered. The most current version of the Terms will supersede all previous versions. Pearl Lash encourages you to periodically review the Terms to stay informed of our updates.